All you need is just minutes away and the city's hotspots are all walkable from here. Save money since you don't need to pay for transportation when you stay with us! 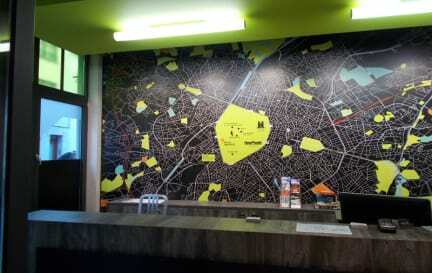 Brxxl 5 City Centre Hostel have a friendly atmosphere and generous hospitality. We're also than happy to assist you with your day trips, pointing out the highlights of the city and help you out in finding your way in Brussel. Brxxl 5 City Centre Hostel is a modern accomodation provides quality facilities and designed rooms and all rooms have LCD television and a modern bathroom equipped with hairdryer. Brxxl 5 City Centre Hostel provides free bed linen, free shampoo and shower gel, free luggage storage, lift available. Free Wi-Fi in all the house. Form the Brxxl 5 City Centre Hostel, you can reach the shops, clubs and other sights of the city very easily. If you like exciting the entertainment zone the Grand'Place is just five minute's walking distance. Age Restriction in Dorms, less than 40 years. 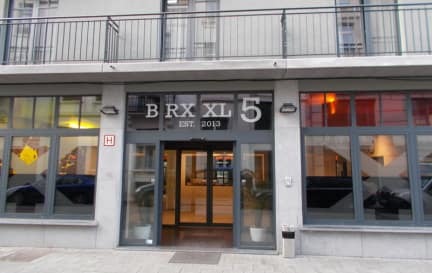 We are looking forward to welcoming you to Brussel and the Brxxl 5 City Centre Hostel! Geweldige ervaring, alles erg degelijk & schoon en ontzettend lief personeel. Op 15 minuten lopen van Brussels Midi en 15 minuten van de Grote Markt. Alleen jammer dat er geen keuken is, en dat de inrichting vrij zakelijk is. Very clean hostel near Brussels midi station. Het welkom was goed, vriendelijke receptionisten. Hostel heeft een hip uiterlijk en is gelegen in een multiculturele buurt, dicht bij station Brussel MIDI en halte Lemonier. Dus goede verbinding. Goed beveiligd in het algemeen. Op het beddengoed wel haren gevonden, dat is minder. Maar goede prijs-kwaliteit. Check-in and check-out were very quick and easy, which was nice considering that I could only have a 5-hour sleep in between a transfer from Eurostar to local train. The room was very clean and modern (especially the bathroom!). It was a bit noisy beacause if people watching football downstairs, but I slept right through it. The location is absolutly perfect! Really close by Brussel-Midi (5 minutes) and Grand Place (15 minutes). However, I can understand that the area might seem a bit threathening at night if you travel alone... The hostel itself had all the basic facilities (except a kitchen). The rooms were big, but warm and damp. The walls are very thin, so you could listen in to the conversations of two rooms down the hall... Overall, it was a pleasant stay for a short while!